Michael loves pie. Like...on ultimate Pi day, a couple years ago, he was sincerely upset that I hadn't made him pie (oops). He particularly likes fruit pies...which is tricky because I don't really dig fruit pies. So I only make them for him on occasion. Thusly, it's a special event when I do. Sometimes Michael sits around and questions why certain pies don't exist...and then I tell him they do exist. One time that was grape pie (although admittedly it sounds weird, it apparently exists). And then another time he questioned raspberry pie. 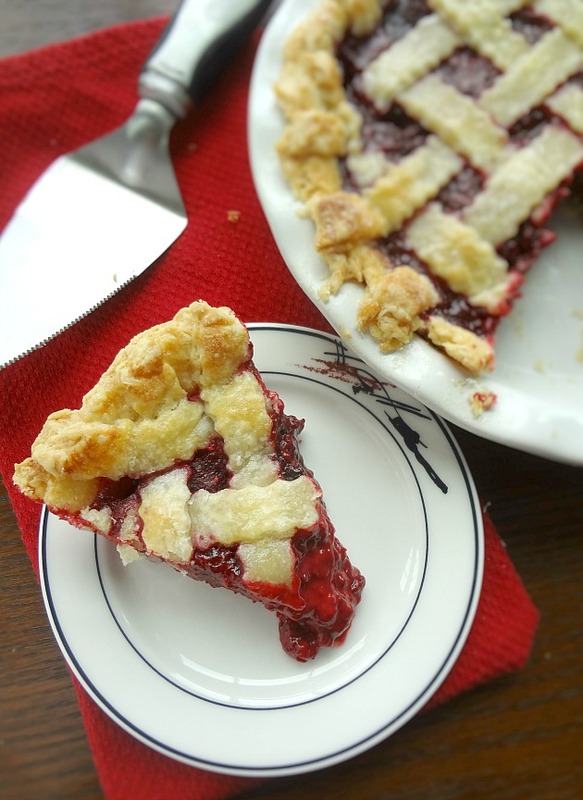 Before looking it up, I knew that it wouldn't be difficult-it should be the same premise as blueberry or blackberry pie, and of course I was right and I found various recipes online. So I was a nice lady and made him some raspberry pie. And right before this year's Pi day, so he finally got his Pi day pie. Anyway, more about this actual pie. It's my first time making a lattice top crust-I thought it turned out pretty well! You do not have to do a lattice, you can kind of do whatever you'd like. 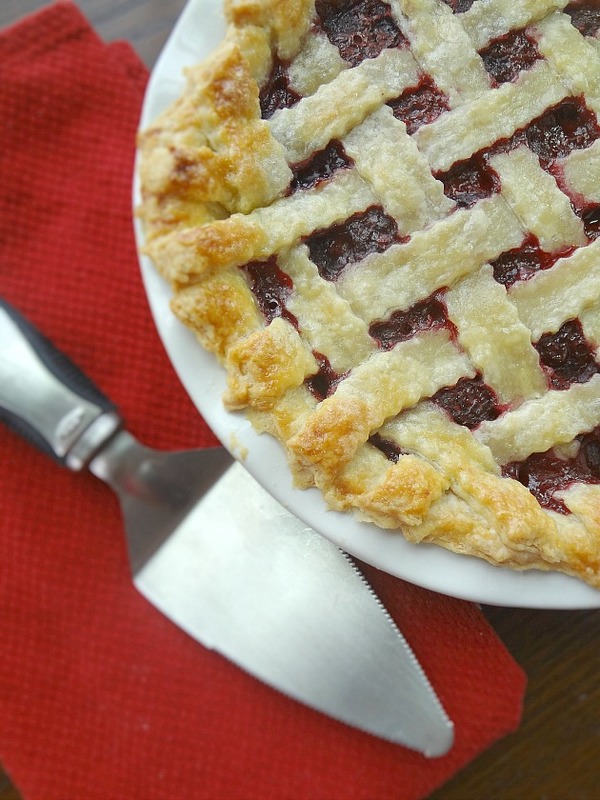 The lattice is so evocative of a classic berry pie though, you know? And I used my favorite butter pie crust recipe which was flaky and delicious. 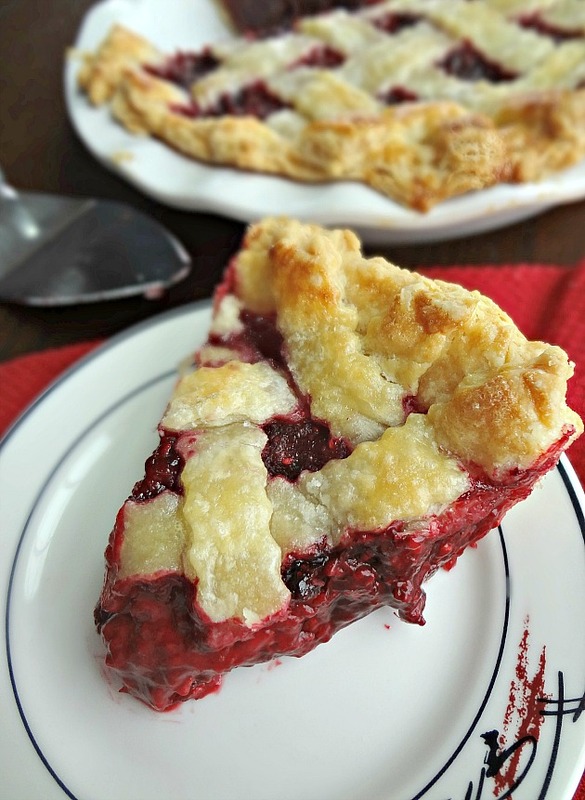 The filling has a pleasant tartness and lots of pure raspberry flavor-I mean the ingredient list for the filling is beautifully short. It's essentially just raspberries, sugar, and cornstarch. I love that, it really let's the raspberries true flavor shine through. Michael was super super happy about this pie, and I bet you will too! Makes one 9 inch pie. Butter and flour a 9 inch pie pan. Preheat oven to 350F degrees. Prepare pie crust. Roll out one half of the dough and fit it inside the pie dish, cutting off any crust that hangs over the edges. Toss the raspberries with the sugar and cornstarch in a bowl. Taste the berries and adjust with more sugar and cornstarch if needed. (For every extra tablespoon of sugar, add another tablespoon of cornstarch.) Pour the filling into the pie shell. Lightly brush the crust with a whisked egg and sprinkle with sugar. Bake for 60 to 75 minutes or until the crust is golden and the filling is bubbling in the center-cover with foil if the crust gets too brown before the filling bubbles. (Place a baking sheet on the rack under the pie while it bakes to catch drippings.) Allow pie to cool for the filling to gel. 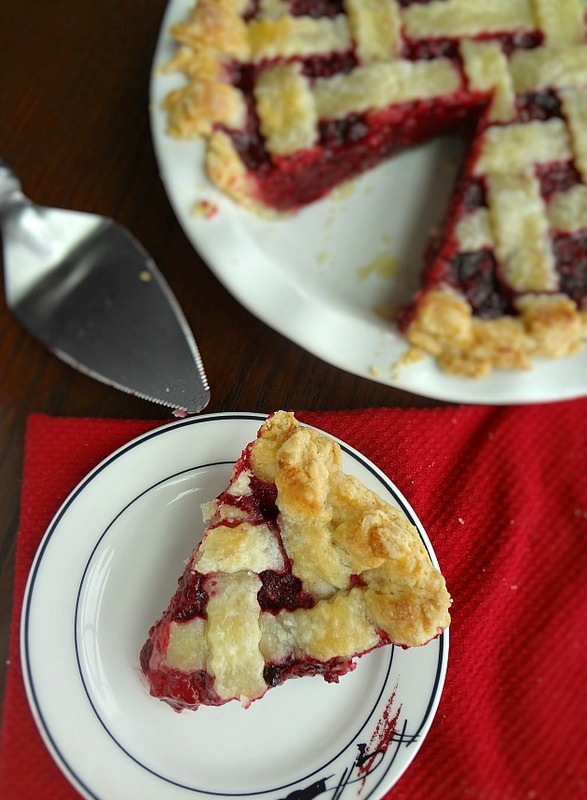 Once the pie is at room temperature/to store leftovers, cover with plastic wrap or place in an airtight container and store in the refrigerator for up to 5 days. 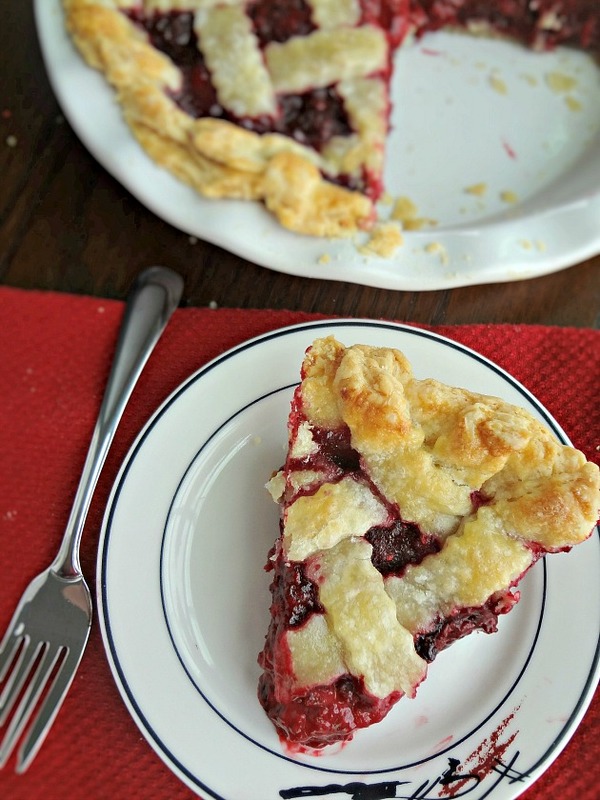 I love the gorgeous COLOR of the berries in this pie!